December has arrived incredibly fast with all Christmas decorations, madness of shopping and preparations for festive seasons. Many of us are already planning a Christmas menu, but we all know that it can get a bit tricky when it comes to low carb cakes and puddings. I’ve been thinking what I should bake not only to satisfy my own tastes buds (and don’t go off the meter! ), but also to keep my family and friends happy. 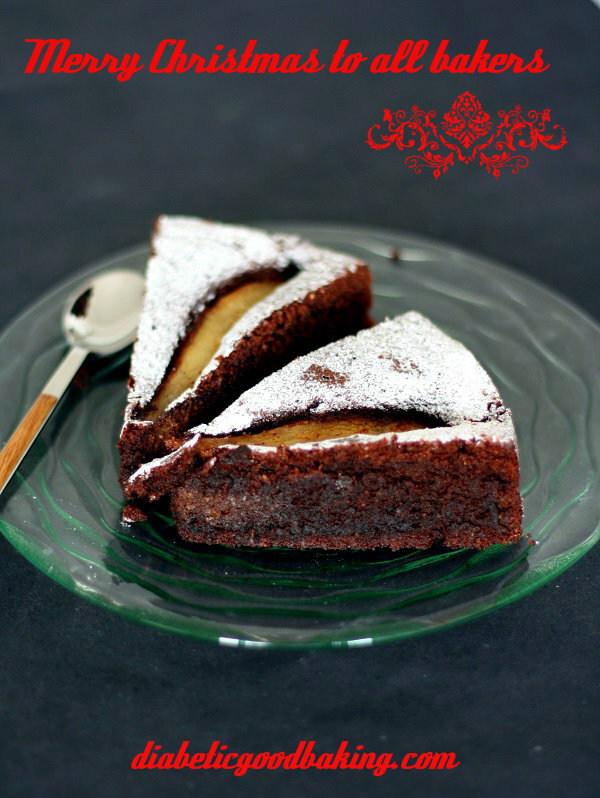 I decided to go for this rich and moist chocolate cake with aromatic pears. 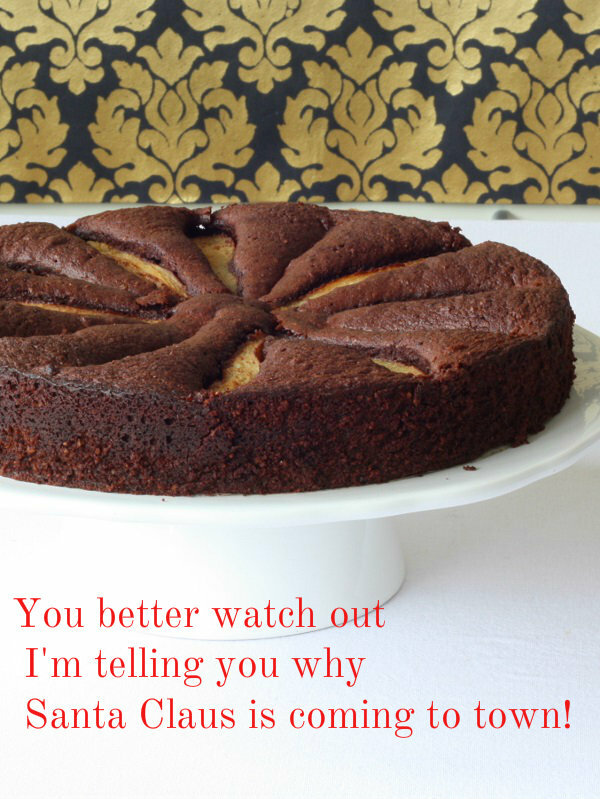 I found a recipe for this cake on one of my favourite baking blogs and adjusted it to diabetic needs a little bit. Omitting flour didn’t do much harm. In fact, I think it made this cake even better. Dense and smooth texture combined with soft pears make a perfect cake to enjoy with cup of good coffee or tea. Bring to boil water with cinnamon and star anise. Add the pears and cook on a very low heat for about 5 minutes. Do not overcook the pears. You want them to be in nice whole pieces. Place aside to cool down. In a large bowl, over simmering water, melt the chocolate until smooth.Set aside to cool down a bit. Using electric mixer beat the butter with xylitol until mixture gets light and fluffy. Add the eggs, one by one, beating continuously. Add the melted chocolate and mix until all nicely combined. Combine ground almond, cocoa and baking powder together. Add it to the chocolate mixture and fold it in gently. Pour the batter into the tin and place the pears in a circle (kind of star shape)and bake for about 30 – 35 minutes (check with the skewer if the cake is ready). Cool it down and dust with powdered xylitol.